Company name in Weekly Connections every week - the sooner you sign up, the more exposure you get! Opportunities to become an event sponsor are still available. Sign up to sponsor the Day at the Races today! Contact Linda Hallberg with any questions about sponsorships. A special thank you to the generous members who have already stepped up to sponsor the 2017 Day at the Races! 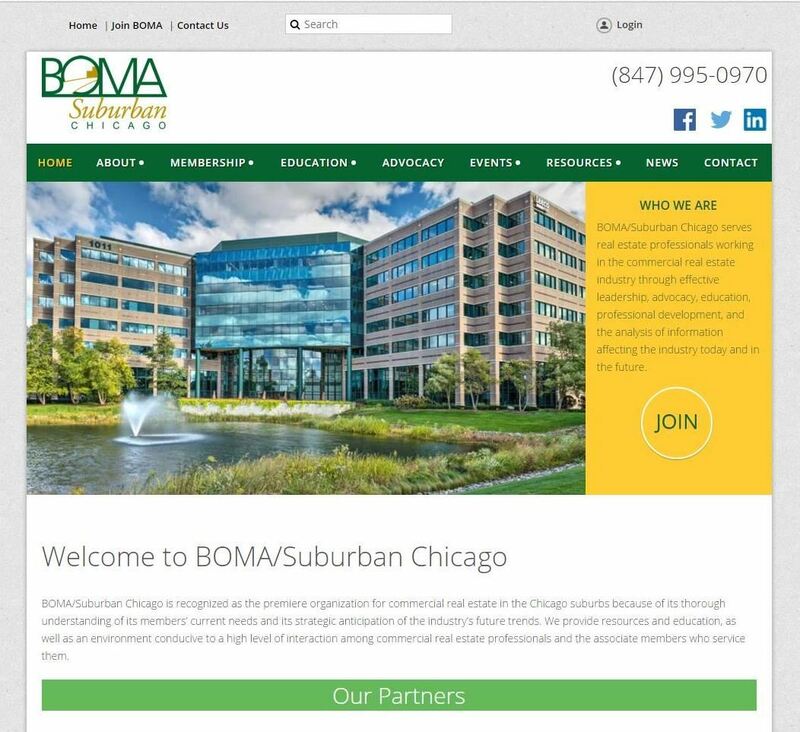 Professional Paving & Concrete Co., Inc.
BOMA/Suburban Chicago was recently named the 2016 All Star Award Winner by Constant Contact, our online tool for sending electronic communications to our members, including Weekly Connections, BAM, and event invitations. This annual designation is something that only 10% of Constant Contact customers receive for their excellence in building customer relationships - meaning we couldn't have done it without you; our awesome members! Thanks for being so engaged and making BOMA a priority. The Awards Committee met earlier this week to review essay submissions for the 2017 BOMA International EXPO Full-Ride Giveaway. While each of the candidates were certainly deserving and would represent BOMA/Suburban Chicago well, the winning candidate displayed his zest and enthusiasm for learning while applying that excitement to the day-to-day management of his building. The winner of the Full-Ride Giveaway contest is Tom Noonan, Chief Engineer with Millbrook Properties. Tom will be going to Nashville in June! currently being accepted yet for the 2018 TOBY Awards, but that doesn't mean you and your team can't get started today. To get a head start on planning for your submission, take a look at the TOBY Awards At-a-Glance Planning Outline. This document lists the different categories in which you can best showcase your building, outlines the requirements needed for eligibility, and highlights the documents and materials you can start compiling today to get ready for your submission. Once you've taken a look at the planning outline and have determined that you are on board to apply for the 2018 TOBY Awards, you can complete the Entry Intent Form and return it to Heather Woods to ensure we can prepare you for the upcoming submissions. Whether you are undecided about entering for the 2018 TOBY Awards, or even if you know for sure that you'll be entering your property, you don't want to miss the 2018 TOBY Awards Q&A Workshop, which will take place on Tuesday, July 18 from 9:00 a.m. - 11:00 a.m. This workshop will be held at the BOMA Office in Schaumburg at 1515 E. Woodfield Rd., Suite 110, and will be facilitated by the Awards Committee members, past judges, and former entrants. You'll learn valuable information about what is required on the TOBY Application and how to stand out from the competition! All Regular member building representatives and management teams are welcome. Register today. BOMA/Suburban Chicago is seeking submissions from Regular members to participate in BOMA International's 2017 Conference and EXPO, which takes place from June 24-27 in Nashville, TN. The winning entry will receive travel accommodations, as well as a paid conference registration, including the TOBY Awards Banquet, to enjoy the vast array of educational and networking opportunities BOMA International has to offer. Why Attend the 2017 BOMA International Conference & EXPO? At the BOMA Conference you'll find inspiring keynote sessions, important networking events, along with a variety of targeted education sessions that offer fresh approaches, practical direction and tactical strategies for optimizing asset values, embedding sustainability initiatives into operational practices, honing leadership skills, cultivating next-generation talent, and much more! The TOBY Awards Reception and Banquet, which honors the industry's most deserving owners and property management teams, is an elegant evening in which Regional TOBY winners are recognized for their achievement in front of colleagues and friends. The International TOBY winners will be announced for the first time, live at the event. Two of our very own BOMA member buildings - Windy Point II and Arboretum Lakes - will be in attendance and receiving recognition for winning the 2017 Regional TOBY Awards this year! While you may be miles away from Chicago, you'll see some friendly faces if you attend the conference. Several of our vendors and members will be in attendance, along with BOMA staff. You will be sure to see someone you already know. In addition, all BOMA/Suburban Chicago members in attendance are invited to join us for dinner at a local restaurant on Monday, June 26. 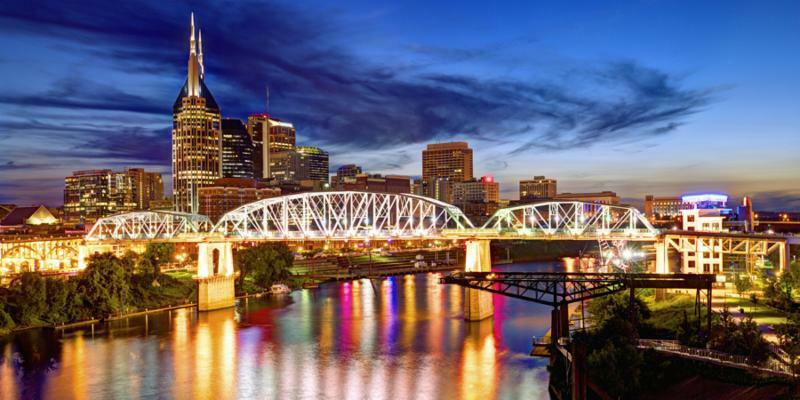 Beautiful Nashville is located on the Cumberland River, creating a lovely scenic view. The downtown area features an assortment of entertainment, dining, cultural, and architectural attractions. 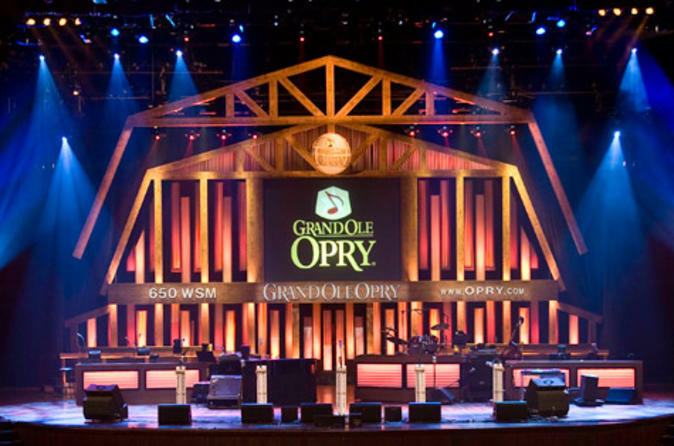 Known as the center of country music, there are many places to catch a live performance. After packing in a full day of valuable professional development, why not venture out to experience the exciting nightlife of Nashville? Entrants must submit a 500 word explanation answering, "Why attending the Conference will benefit me and BOMA/Suburban Chicago..." to be considered for the International Conference Full-Ride Giveaway. Send essays to Heather Woods. The winning entry will be selected by the BOMA/Suburban Chicago Awards Committee. Visit Our Newly Redesigned Website Featuring Member Exclusive Content! Our website has received a complete makeover and you will benefit from the improvements we've made! Not only will users enjoy a new look and a more user-friendly experience, but members who log in will be able to access resources and content exclusively just for them. Member representatives will be receiving a personalized, automated email on Monday, May 1 with their passwords to access the members-only portion of the website. Once logged into the website, users can change their passwords to something they can easily remember. If at any time a user forgets their password, it can simply be reset through the website by selecting Forgot password on the login screen and following the instructions. BOMA staff can also reset user passwords, however, staff does not have access to passwords for security reasons. This new website is sure to provide more value and enhance your overall membership experience. So, please take some time to get accustomed to the design. We think you're going to love the new look and features! If you have any questions or comments about the website, please contact Heather Woods. Schaumburg, April 3, 2017… The North Central Region of the Building Owners and Managers Association (BOMA) International recently announced the Regional level winners of The Outstanding Building of the Year (TOBY) Award competition. 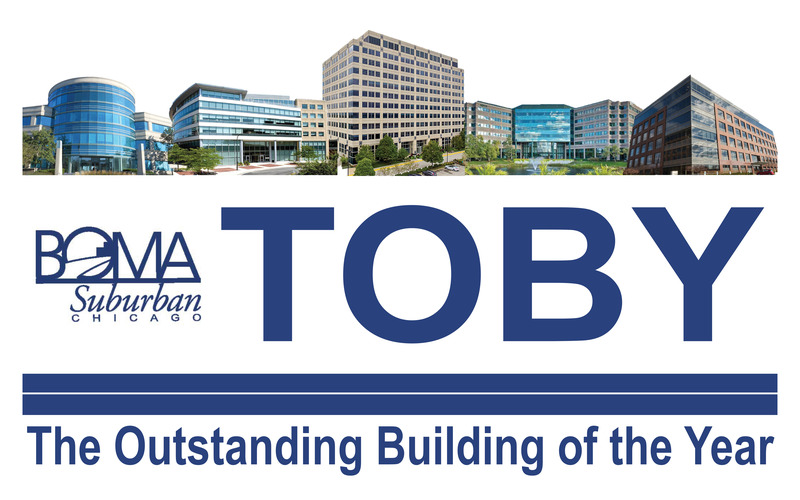 BOMA/Suburban Chicago is proud to announce that two of their member buildings have won the Regional TOBY Award. Windy Point II has been named the 2017 Regional TOBY Award winner for the 250,000-499,999 Square Feet Category. Windy Point II, located in Schaumburg, IL, is managed and owned by Piedmont Office Realty Trust. Arboretum Lakes has been named the 2017 Regional TOBY Award winner for the Suburban Office Park, Mid-Rise Category. Arboretum Lakes, located in Lisle, IL, is managed and owned by Millbrook Properties. Regional winners will now proceed to the International competition where winners will be announced live on June 27 at the TOBY reception and banquet at the BOMA International 2017 Conference and EXPO in Nashville, TN. As a reminder, our Associate Members can reserve their booth space for the 2018 EXPO (February 22, 2018 at Drury Lane) throughout the year. If you did not get a chance to reserve your booth at the Associates Spring Breakfast this week, please complete the Booth Reservation Form and return with a 50% non-refundable deposit to Linda Hallberg. If you have any questions on this process at any time, please contact Linda Hallberg. Save The Date - Thursday, May 25, 2017 at Cantigny Golf in Wheaton. Invitations - The invitation for foursomes will go out in early April to all BOMA/Suburban Chicago members. Associate Member Hosts/Hostesses - Our Associate members will often ask you, a Regular member, to play in their foursome. In order to make the day a success, we strongly encourage Regular members to support and attend this event. If you are invited, please accept the invitation! Do Not Cancel - If you accept the invitation, please do everything you can to attend on May 25th. Your host/hostess has purchased a non-refundable ticket for you costing over $200. Cancellations can sometimes be filled, but there are no refunds. If you must cancel, please do so with ample warning so the empty slot may be filled. Not a golfer? 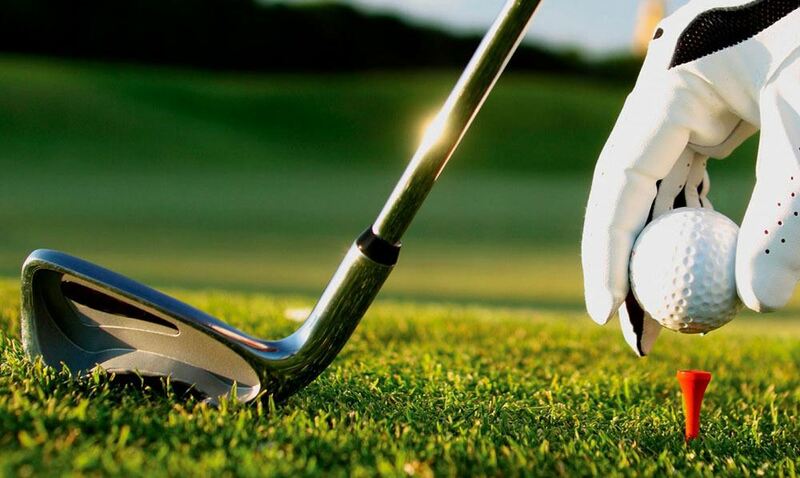 - Regular members are reminded that the BOMA/Suburban Chicago Golf Outing is about having fun, enjoying the beautiful Cantigny course and networking with fellow members. Don't say "no" just because you are not ready for the pro tour! It is not about competition - It's about Fun! Waiting List - If you have an interest in playing, but have not received an invitation, feel free to let the BOMA/Suburban Chicago staff know. We will share those names with our Associate members. Another Golfer in your office? - If there is someone on your property team that loves to play golf, but isn't aware of this outing, please share this information with them. Property professionals only; No non-member vendors will be admitted. So, go ahead and dust off those golf clubs, accept an invitation from one our Associate members, then show up, and have a great time at the 2017 Golf Outing! We have urgent information about proposed Senate Bill 9, currently being considered in the Illinois legislature. This bill contains an amendment that would impose a 6.25% service tax on all landscaping, snow removal services, and potentially other contracted building services. This encompasses all types of landscaping services - tree care, lawn care, maintenance, design-build, and snow removal. The increased tax on landscaping companies will likely be passed along to property owners and managers. It is estimated that this bill could result in increased costs of 3-5 cents per square foot of a commercial building. 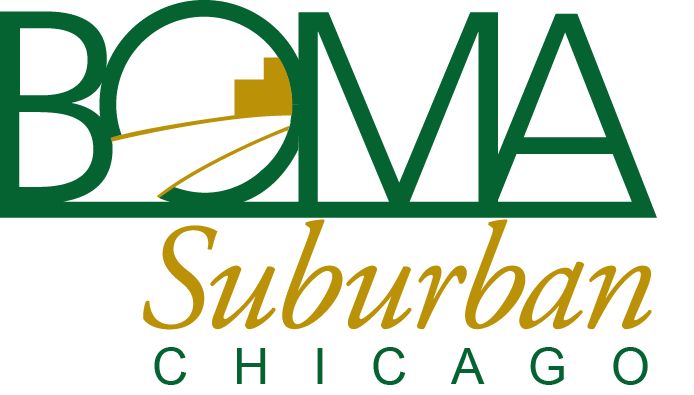 IMMEDIATE ACTION REQUESTED: BOMA/Suburban Chicago's Government Affairs Committee is actively working to oppose this legislation. 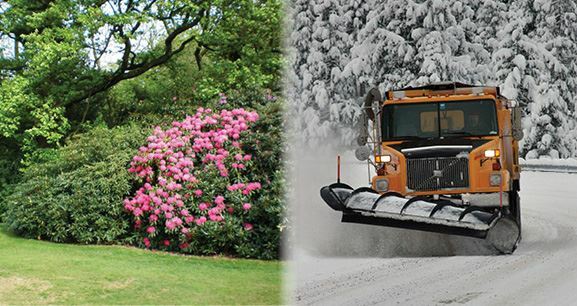 As part of that effort, we are asking you to contact both your state senator and state representative and tell them you oppose the service tax on landscaping and snow removal services. If you do not know your state legislator, please look him/her up by zip code and address using the link below. I am a property owner/manager/facility manager of a commercial __________ building in the Chicago suburban area. Senate Bill 9 will be a huge detriment to my property's operating budget! I do not support this legislation and request that you vote against it. If passed, this Bill could affect many types of services, including repair, cleaning, painting, towing, and pest control services. Many of the services in the Bill are represented by BOMA Associate members and, of course, they are services needed by Regular members. The proposed tax on these services would greatly impact Regular members and Associate members alike. Read more about how Senate Bill 9 Impacts BOMA Members.